Common Enemy comes straight out of Reading, Pennsylvania, bringing forth song topics consisting of skateboarding, horror movies, everyday life, and personal politics. In 1998 the band was formed with various lineup changes and a single CD release; it wasn?t until 2003 when Sonic and Greg Disorder joined the band that it was truly born. Almost immediately a tight bond was formed and everyone became more serious about playing out and having fun. 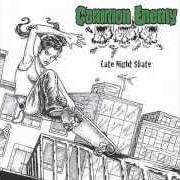 Common Enemy has always been about touring, DIY and extensively playing out as much as possible to get their music heard world wide. With this lineup Common Enemy recorded one full length CD, one 7? EP, two split 7? records and have tracks on various compilations nationally and internationally! This lineup was also responsible for an East Coast / Midwest tour, a Midwest tour, a European tour, and countless extensive short / weekend tour stretches in the Northeast, Mid Atlantic and Eastern Midwest. In April 2006 Sonic left the band to pursue an education in Recording Arts in FL. In his place, longtime friend Mikey stepped in to take over on vocals and keep Common Enemy kicking. 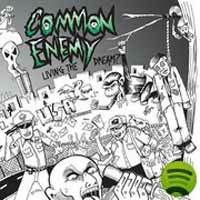 With Mikey, Common Enemy recorded another full length CD, one 7" EP, one split 7" (with a band in Asia) and have tracks on various compilations as well, including issue #5 of Loud Fast Rules, along with an interview. This lineup is responsible for a Southern U.S. tour and more non-stop, unrelenting and extensive short weekend tours. Mikey decided to leave the band for personal reasons in the planning stages of a second European tour (May 2007). Luckily, Sonic had just returned home from school a week before they were suppose to leave and filled in on the tour. He also recorded songs for a split 7" that was released in Europe. The band is best known for their in your face music style and in July of 2007 tryouts for a new singer began. With amazing luck, they came across Gary who fit the role perfectly. Instant chemistry was felt between the long time lineup and new vocalist Gary Critical. Once again having a full time singer in 2008, the new lineup recorded one split CD released in Japan, one 4 way split CD released in Europe, a split 7" record, and various compilations nationally and internationally, along with touring Europe for a 3rd time and countless extensive short / weekend tour stretches in the Northeast, Southeast, Mid Atlantic and Eastern Midwest.! In 2009 the band finished writing and recorded a masterpiece called "Living the Dream?" On this masterpiece they invited Jason Navarro, from Hellmouth and The Suicide Machines, to the party and had him guest appear on the title track of the album. Releasing this album, they are ready to take on the whole world. Doing many countless extensive weekends and many long drives, they decided it was time to tour in Canada, and got "Warped in Canada". Still playing whenever and wherever possible while writing new music any chance they get for upcoming splits with Alternative Tentacles recording artist, Disaster Strikes, Ferret Music recording artist, Hellmouth and an amazing German DIY band called Alarmstufe Gerd, Common Enemy is not slowing down anytime soon. They are also getting ready for their 4th invasion of Europe in May of 2010, this band still kicks you in your teeth! slash the coping it’s a pool attack!